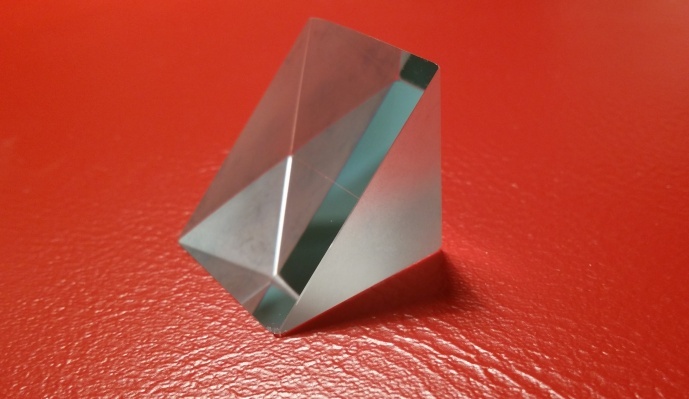 Alkor Technologies supplies Right Angle Prisms made out of CaF2, IR grade Fused Silica, CVD ZnSe and optical crystals. Right angle prisms are generally used to bend image paths or redirect light at 90°. Right Angle Prisms produce inverted or reverted left handed images, depending on the orientation of the prism. Using two Prisms together is ideal for image or beam displacement applications. These prisms are also known as image reflection or reflecting prisms. Aluminum reflection coatings are available for the Prism’s hypotenuse to increase reflectivity. Anti-reflection coatings are available for the Prism’s faces to decrease reflectivity. Standard size A=B=Height=25.4mm but for sure we will produce custom prism according to your specifications.